Enjoy three exciting desert activities on a 4-hour morning safari from Abu Dhabi that’s timed to beat the desert’s fierce heat. 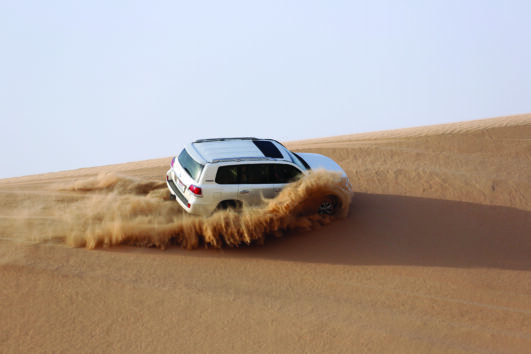 Head through the desert to a Bedouin-style camp and enjoy a white-knuckle 4×4 dune bash. Climb up and skid down the dunes as your driver spins the wheels, and then return to camp to enjoy two other adventures. Ride a camel and tackle the dunes with a sand board to glide and slide down the steep sandy slopes, snowboarder-style. 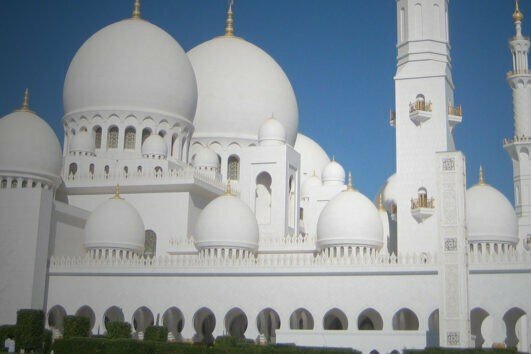 Witness the highlights of Abu Dhabi on this 4-hour sightseeing tour of the UAE’s dazzling capital. Traveling between the sights in an air-conditioned coach, visit the Sheikh Zayed Mosque, a vision of white domes, minarets and courtyards; explore the recreated old desert settlement at the Heritage Village, with its Bedouin tents and craft demonstrations; browse the glittering Gold Souk and bustling Dates Market; and admire the beaches, gardens and gleaming high-rises. As you explore, gain fascinating insight into the history, culture and future of this beautiful city from your guide. It’s good to wake up early and be out and about to witness the sunrise in the middle of the desert as our expert Marshal drives you to show the best spot. Seat, relax in the carpet while enjoying the enchanting view of the sunrise. 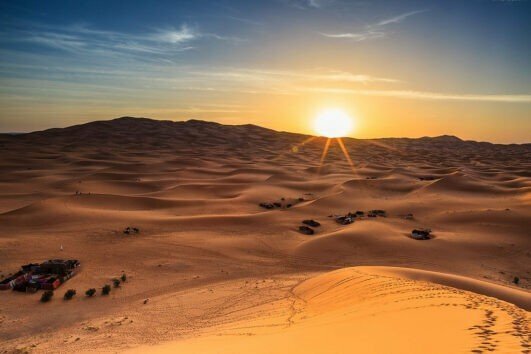 After watching the magical sunrise, let visit the camp to sip Arabic coffee and have some dates and a have short camel ride before heading back to the City. Enjoy three exciting desert activities on a 4-hour afternoon safari from Abu Dhabi that’s timed to beat the desert’s fierce heat. Head through the desert to a Bedouin-style camp and enjoy a white-knuckle 4×4 dune bash. 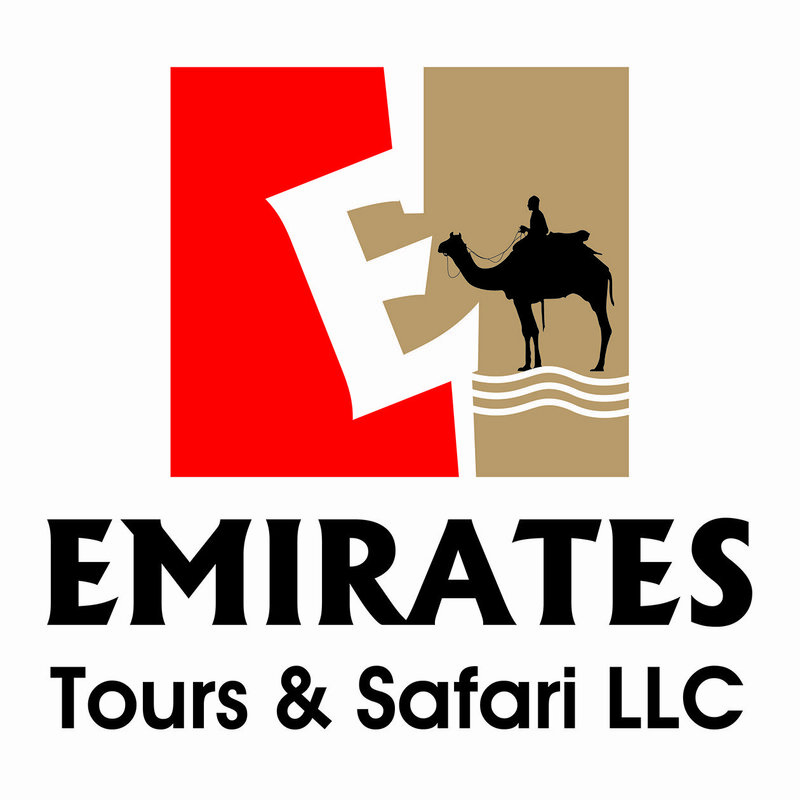 Climb up and skid down the dunes as your driver spins the wheels, and then return to camp to enjoy Camel Ride.